We’re celebrating the season with a treat - locally produced organic chocolate from our friends at Theo Chocolate. We’ve partnered with Theo to bring three of our favorite bars to our stores. We’re featuring Peppermint Stick made with 70% chocolate & crushed peppermint candy, Hazelnut Crunch with 45% pure milk chocolate, hazelnut brittle and a touch of salt, and Bread & Chocolate made with 70% dark chocolate blended with toasted artisan breadcrumbs and a pinch of salt. Theo Chocolate is based in Fremont and they’ve been making chocolate from the purest ingredients grown in the most sustainable ways possible since 2006. That means their cocoa beans and all of their ingredients are both organic and fair trade. 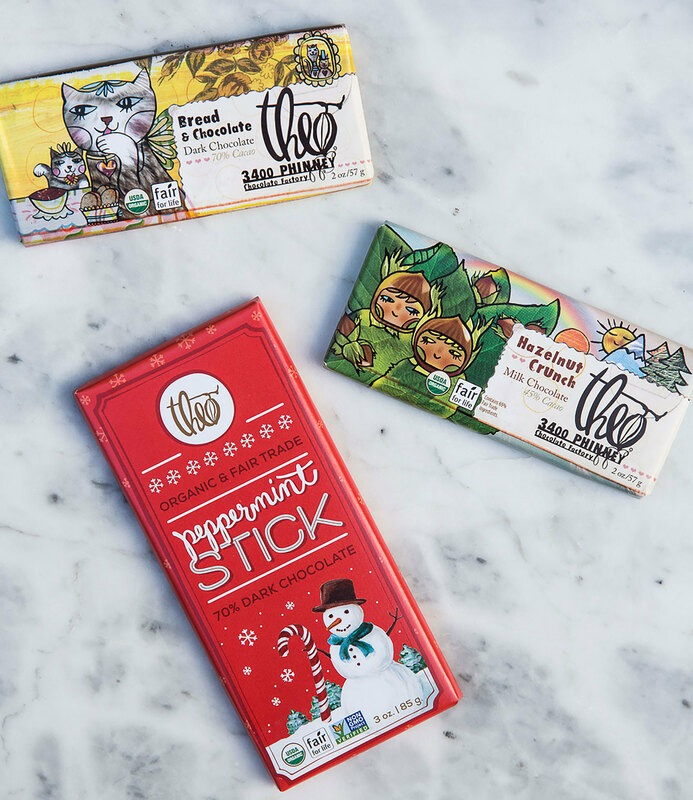 Theo Chocolate was the first organic, fair trade-certified chocolate maker in North America and we’re excited to be featuring their chocolate in our stores for the holiday season. Stop by any of our locations for a bar or check them out on ouronline store.